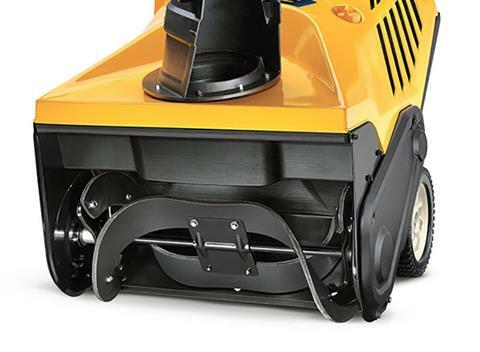 The 1X single-stage power is ideal for quickly and easily removing six inches of snow from smooth, smaller areas. 1X snow throwers pack quite a punch. 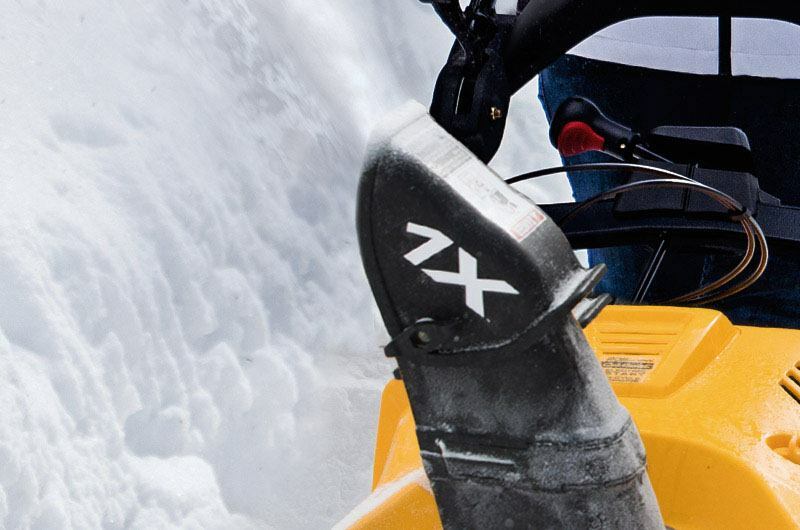 A single-stage high-performance auger efficiently scoops and discharges snow accumulation to clear the way all winter. 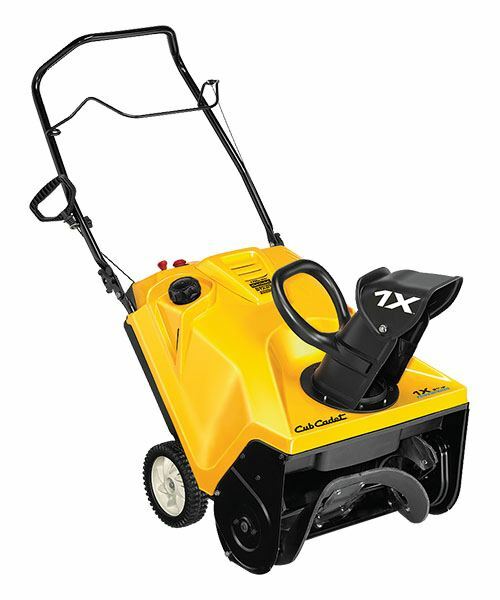 PUSH-BUTTON ELECTRIC START: A large, powerful 4-cycle Cub Cadet OHV engine gives you much more power than you might expect from a single-stage snow thrower. And it all begins with a simple push of a button. 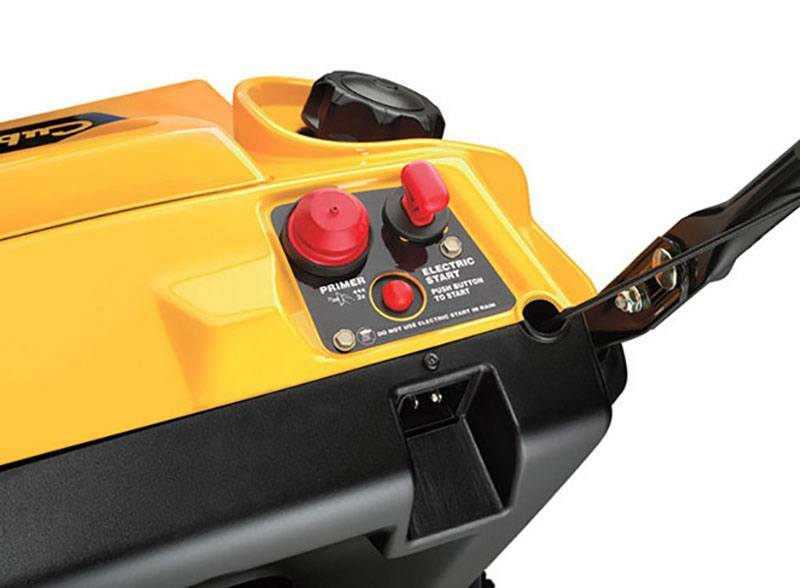 Just plug into a standard 110V wall outlet, press the start button and you're ready to go. HIGH-PERFORMANCE SELF-PROPELLED AUGER DRIVE SYSTEM: With a self-propelled auger drive system created from high-impact rubber and reinforced with steel, you get an ideal blend of power and dependability in a lightweight design. So your walk-behind snow thrower is easy to maneuver in your driveway while still blasting the snow away. Size - 8 x 2 in.